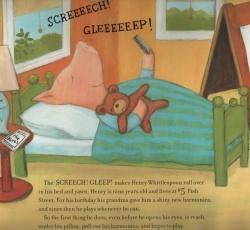 Early in the morning, a bird begins to sing at No.1 Fish Street, waking the man next door and his dog, and before long, as one noise leads to another, everyone on the street is awake.This is a really funny book, with some crazy character names to remember and some great sounds to copy. We particularly enjoyed learning about 9 year old Henry Hobart Whittlespoon who lives at No.5 Fish Street. 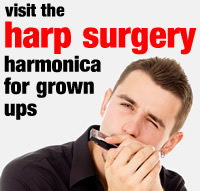 What do you think his favourite musical instrument might be? And why does he have a book by his bed called The Blues? 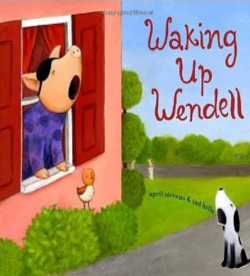 Waking Up Wendell is published by Schwartz Wade books (ISBN 978-0-375-83621-3) and can be ordered through Amazon.com. The colourful illustrations are by Tad Hills who also illustrates the popular Duck & Goose books.